Is it the first time for you to do solo travel in Indonesia? No worry! Then it is your debut solo traveling. It will be a bit frightening to debut as a solo traveler but also exciting to do. Many countries with solo travelers that might want to try as their debut. Indonesia is one of the most prominent destinations for solo travelers. Indonesia is one of great thing to try for solo travelers. It is because Indonesia has unlimited panorama and captivation in each region. The solo traveler will get a bunch of traveling experience in Indonesia. Therefore, to travel as solo traveler all over Indonesia maybe is not your choice but here some location to come over as a solo traveler. Yogyakarta is the best choice to be a destination for a solo traveler. Yogyakarta has many things to be explored that make it perfect for solo travel in Indonesia. Yogyakarta is rich with nature panorama especially beach that located in Gunung Kidul. Moreover, Yogyakarta is also famous with it citizen that welcomed to everyone. It is good for a solo traveler to try getting closer with citizen and learning about culture in it. Next place for solo travel in Indonesia is Bali. 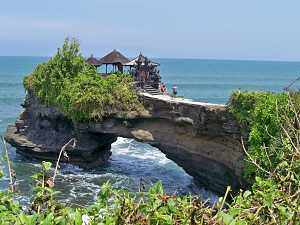 All travelers know that Bali has its own panorama. One thing that solo travelers to try in Bali is coming to Pecatu beach. This beach is beautiful and only a few people that coming to this beach. Solo travelers will feel the beach is only for them. The panorama of this beach also cannot be resist because it is as beautiful as another beach. Do you need more? Wonosobo can be put on your next list. This place will give a piece for a solo traveler. 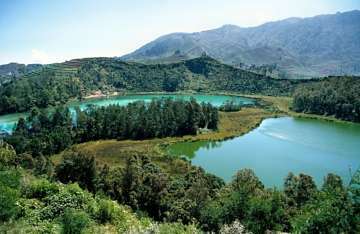 Therefore, if you looking something that gives soothe and refreshes feeling then Wonosobo is a great choice by visiting Dieng Plateau. What a great thing to try. Solo traveling definitely needs to do some or twice to get maximum traveling experience. It is clear that Solo travel in Indonesia will bring memories in debut and it all memory is just about the traveler alone with surrounding. 0 Response to "Most Suggested Solo Travel in Indonesia: Keep All for Yours"